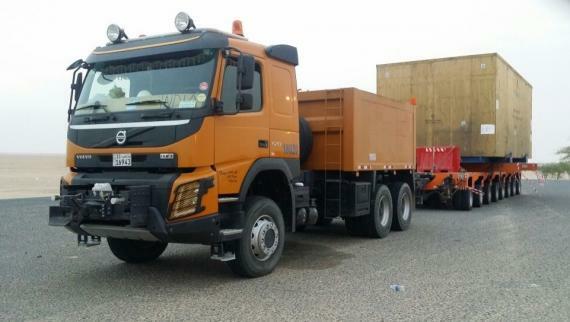 We are pleased to approve ATLAS (Alghanim Freight) as new members in Kuwait. 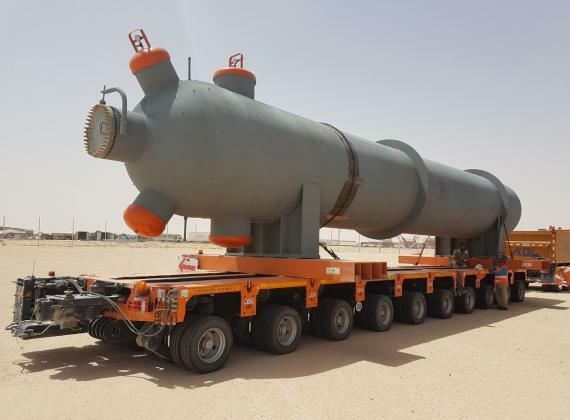 The company originally started business in 1965 and are very competent and experienced in project cargo and heavy lift services. Supply Chain Management Specialist, Vivek Pawar: "ATLAS is a comprehensive supply chain and logistics solutions company with over 50 years of experience in the industry. 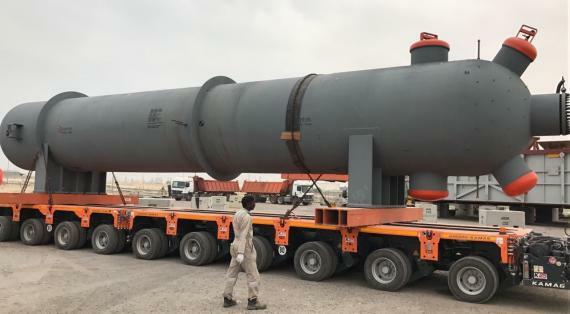 We are part of Alghanim Industries, one of the largest privately-owned companies in the region, and formerly operating as Alghanim Freight. Our newly re-branded business continues to deliver comprehensive projects, packing & removal and freight forwarding services. We may have changed our name, but we haven't changed our firm commitment to serving our partners and customers. With a staff of 550+ multinational, highly trained & motivated employees and a management team with over 100 years of combined logistics experience, we offer our customers local strength with a global reach. We use state-of-the-art equipment and the latest technology based systems to provide value-oriented, end-to-end solutions. We work closely with the public authorities who govern transportation and sites to ensure legal, safe and secure compliance. 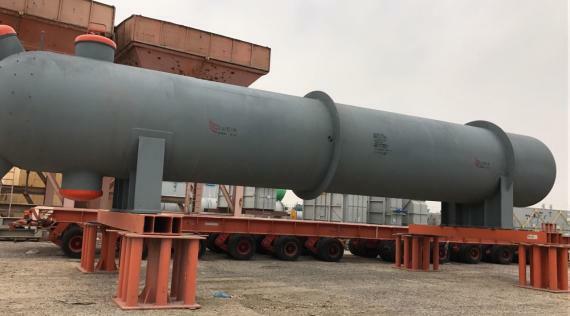 In addition, we provide an integrated approach to heavy lifting by providing excessive weight capabilities, using the best equipment to execute the jobs and coordinating with different departments, whether from port to site or from site to foundation." 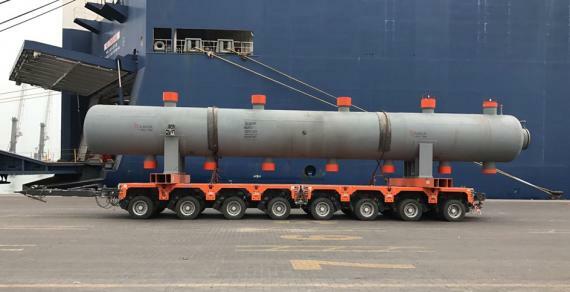 The photos below showcase the heavy lift work handled by ATLAS during an ongoing project for TSK and D.S.V. in partnership with the Kuwait Institute of Scientific Research (KISR), a Kuwait Government institute. 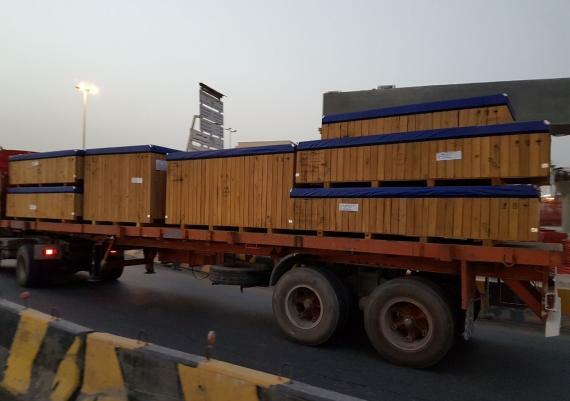 "One of the major challenges we faced was the overnight transport of the shipment from port to site as traffic restrictions would not allow movement during the day. Also, multiple road modifications had to be made around the site to effectively transport the cargo without damage. 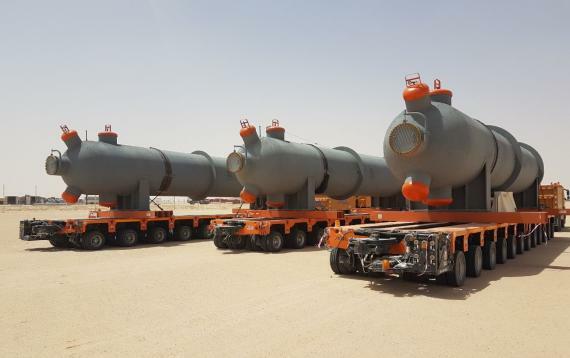 ATLAS also successfully catered to the last-minute requirements to store the generators in order to work in sync with the customers offloading capacity at the project site. 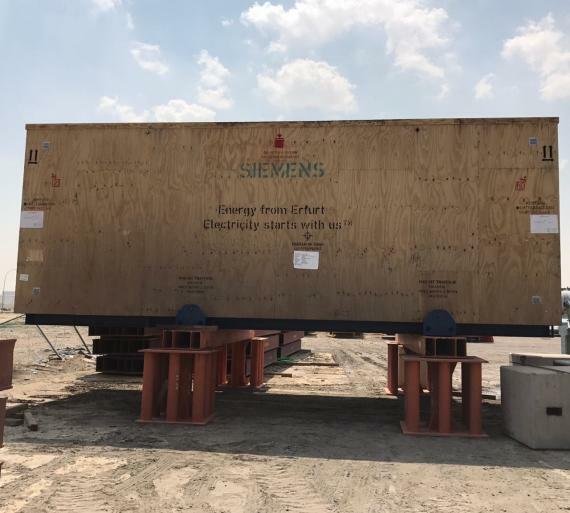 The generators weigh 220tns each and prone to damage if mishandled and so the generators were carefully and successfully offloaded on stools & beams at the warehouse till the site was ready to accept delivery. 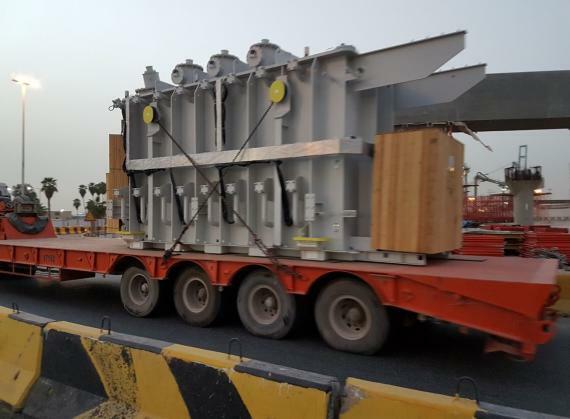 As well as the generators, ATLAS also handled salt interchange vessels (HEX) at 123tns each, evaporators at 90tns and transformers at 122tns."